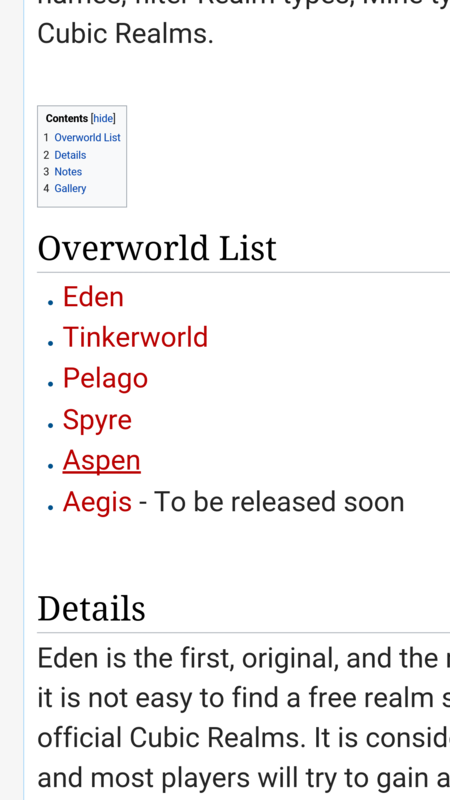 aegis is gonna be released when theres no more space left in all overworlds that arent used much. edit: the person who wrote that is just a regular qbee so we cant really confirm thats true mate... id believe it more if someone like a mod or one of the admins was the one who wrote it. but til then, i think someone just put that there to promote false excitement. Now I kindly ask you to edit the entire thread. You will hype too many for nothing.